Are you currently going through a separation and pasting a divorce? If so, you may be wondering what your next steps are. Here, you will find several tips that can help you through this time. You shouldn’t have to deal with this situation alone. Reach out to our Durham lawyer to help with your separation and divorce process. Sometimes, dealing with these things on your own end up being more costly and more overwhelming than you should have to deal with. Call now to learn more. 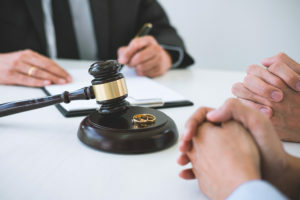 It’s important to get legal advice from a Durham lawyer so that you’ll know all of your options when it comes to the divorce process. At times, a divorce lawyer can help you negotiate and work through settlements without having to go into a courtroom. Sometimes, Durham lawyers are able to help you make your divorce easier for yourself and your spouse. Find more information on how you can better handle your divorce in our next blog post. Durham Divorce lawyer, Kevin E. Jones can help you resolve a divorce or child custody issue. We can also help with your insurance, injury and other legal matters in an ethical and proper manner.